When most people have a muffin with their coffee or tea it's because they are looking for something quick, tasty, and nutritious. Unfortunately the normal choices out there - with their huge amounts of white flour, sugar, and very little of anything that's good for you - fall very short of the mark. And even the ones that try to be savoury usually only contain a token amount of protein. 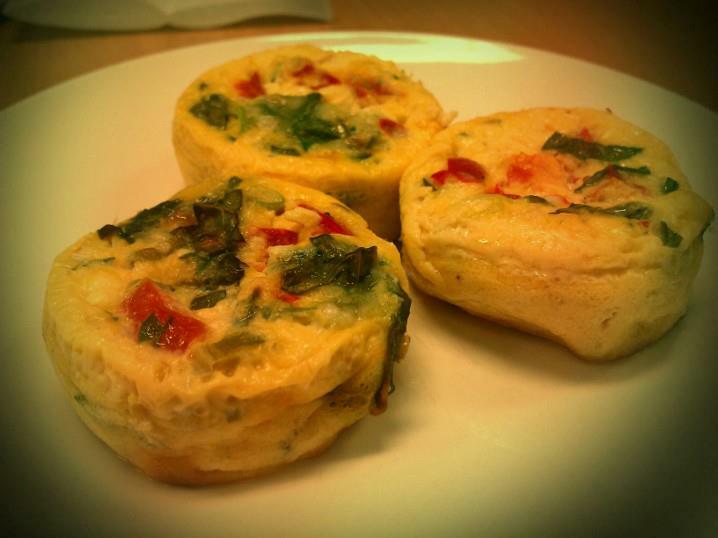 My protein muffins are an exception, but not everyone wants to cook with protein powder. Does a muffin really need to contain sugar to be a muffin? Can you be satisfied with a savoury muffin instead of a sweet one? The Merriam-Webster dictionary defines a muffin as "a quick bread made of batter containing egg and baked in a pan having cuplike moulds." That definition doesn't mention white four or sugar. What would happen if we redefined our idea of what a muffin can be? I was thinking of the recipes that I make that are "batters containing egg", such as omelettes, quiches and Frittatas, and it seems to me these are not only better for you but in a lot of instances a lot tastier as well. So today I'm going to show you a bunch of the savoury muffin recipes that I make on a regular basis and keep in my freezer for breakfasts, lunches and snacks. A lot of these recipes will look familiar because you've seen them here before as meals that are usually eaten at home with a knife and fork. I think it's worth repeating them to show what's possible when you start thinking outside the box. First, here is my basic muffin recipe. It will make 12 regular sized muffins, or for the big eaters among you 8 super sized muffins. To freeze make sure they are completely cooled, then wrap in plastic and place in a Ziplock in your freezer. 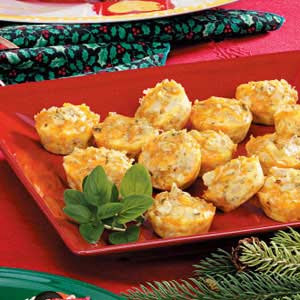 You can then remove them individually when needed and eat either cold or heated for a minute or two in the microwave. 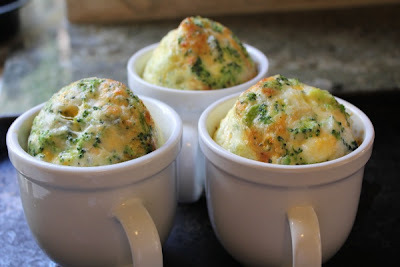 - Lightly grease a 12 cup muffin tin or 8 individual custard cups or ramekins. You can also, if you prefer, use paper cupcake liners. 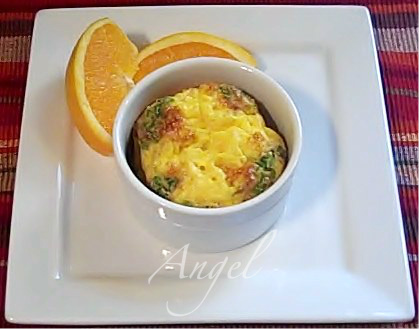 - Whisk the eggs with your seasonings in a large bowl. - Distribute the chopped protein and vegetables evenly among the pie plates. 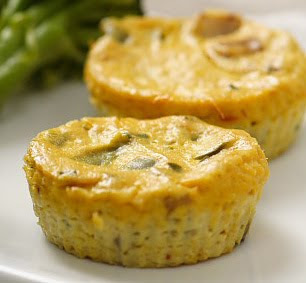 - Pour the egg mixture into the pie plates, making sure the protein and vegetables stay evenly distributed. 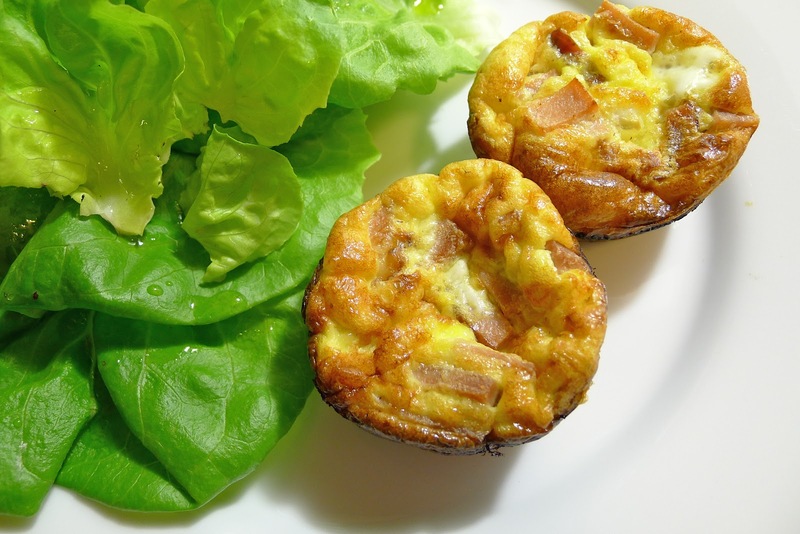 - Bake in the centre of the oven until the Frittata is golden around the edges and firm when jiggled - about 15 to 20 minutes. Make sure you don't overcook them or they will get rubbery. Here are a few versions of the savoury muffins that I make most often. Fry the onion and spinach in a little butter before adding to your eggs. If you miss pizza now that you've give up grains, you've got to try this. It's fabulous ..... and a great way to have pizza for breakfast! Fry the onion in a little olive oil until starting to brown, then add the mushrooms and keep cooking until they are soft. This gives a great artichoke flavour which I love, but if you find it a bit strong, just use a couple of cups of artichokes and add some chopped red or yellow pepper and/or more onion. Mix the eggs with the dill, sour cream and lemon juice. You can also add vegetables to this like asparagus and spinach. 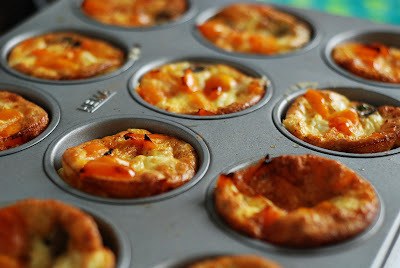 And if you have a bit of smoked salmon to add, it will make this muffin taste amazing. Saute the zucchini in the olive oil with the herbs until just starting to brown. 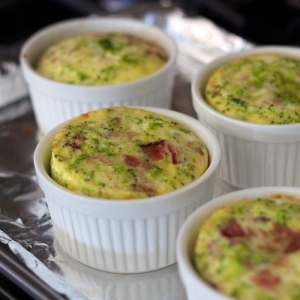 Put into baking dishes and cover with egg and cheese mixture. Here is an innovative way to cook these muffins if you have lots of coffee cups. Saute onion in a little olive oil until starting to brown. Add spinach and cook until just wilted. Mix in garlic, sun-dried tomatoes and salt and pepper to taste and divide in pans. Whisk together eggs cream and parmesan and pour over. Top with goat cheese. 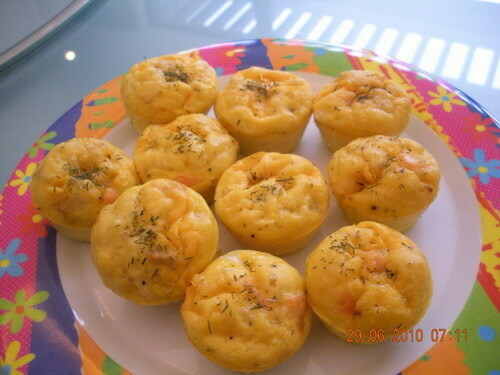 This is my version of Quiche Lorraine made into muffins. I've given you so many ideas above that I'm sure you can find several that will become favourites. But don't stop there. I hope you'll take this idea and run with it. 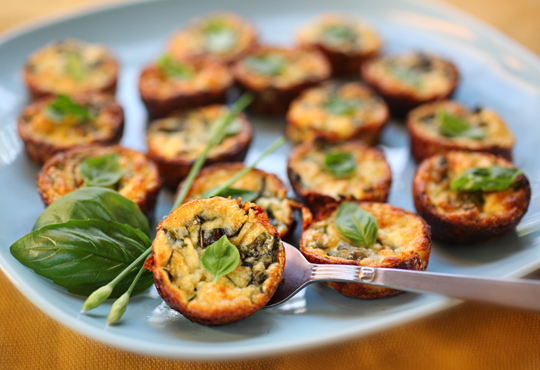 Creating your own special favourite savoury muffins can be delicious fun. 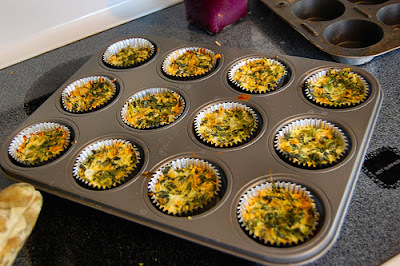 If you find yourself making muffins quite often, then you might want to think about upgrading your muffin pan. If you're sick of scrubbing all those nooks and crevices, a non-stick pan will save you a lot of time and effort. A silicone pan is another option to consider. Not only are they light weight, but nothing sticks to them either. At the very least, you might want to stock up on paper muffin cups to line your muffin tin. Not as good as a non-stick pan, but for a very small investment these will definitely make cleanup a lot easier. Now they make silicone cups as well. I haven't tried these myself but it's another option to consider. 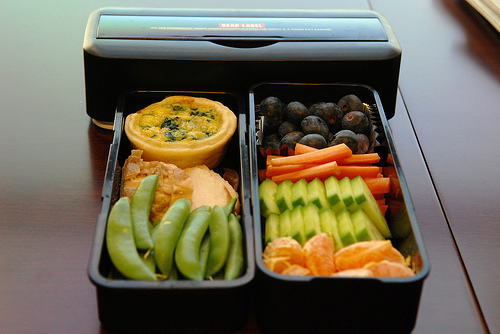 Here is a great lunch box idea from tableauvivante.com. This quiche isn't crustless, but I'm sure you get the idea. 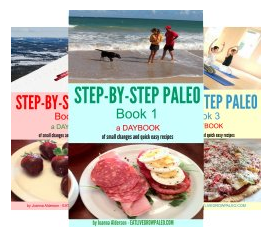 Other than the crust, this is a great portable Paleo Primal meal. 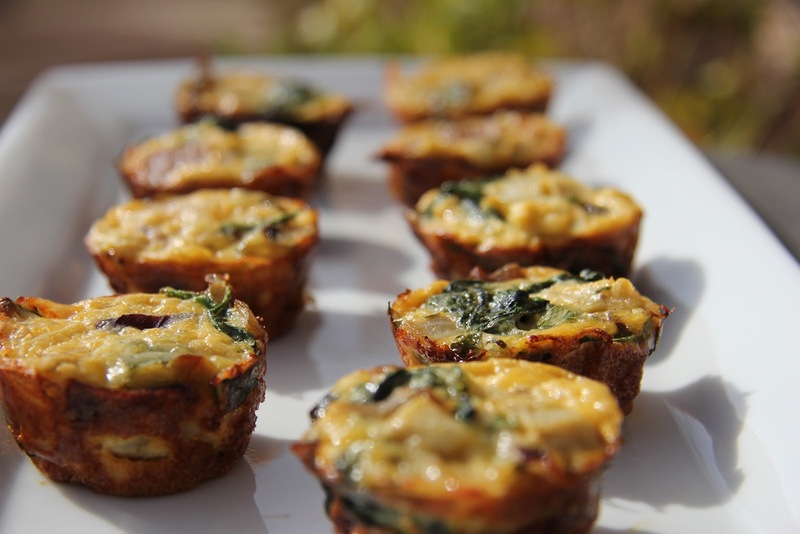 This was exactly what I was looking for in having a quick savory, but healthy breakfast option such as muffins. Thanks for all of your ideas!